We're excited to grow our company platform larger and bring gorgeous planter arrangements to our customers that thrive and give your backyard life and color. 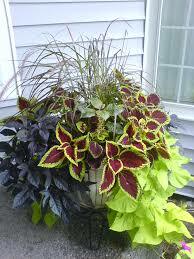 Whether you want your old flower pots filled or custom built planters, we can be of service to you. We have designed planters over the years and have worked with our interior and exterior designer contacts to prepare houses for one time events or a summer of color. Our custom planter boxes make for the perfect garden and the perfect gift. They are the right size for an apartment balcony or that relaxing patio. The Let-U.S. Garden Planter Box offers an easy way for gardening, avoiding most critters looking for a quick snack and creating a simple space for growing herbs, tomatoes, lettuce, cucumbers, peppers and other vegetables and flowers. All natural is the name of the game. We built our planter boxes out of reliable cedar, lined the interior with burlap and finished with an FDA food safe stain. While we have customized some of our planters with an 8 inch lift kit (we just installed bigger wheels) our designs allow for easy at home customization. Otherwise, choose from some of our predetermined designs. Illinois Idea - Built in the U.S.A.
Plant Aesthetics meets Organic Farming. We install gardens or incorporate edibles into your current landscape while offering a unique mix of color and design. Current landscape space is widely inefficient, containing many varieties of plants that yield only visual utility. Incorporating decorative, edible plants that offer both visual utility and a spot on the dinner table is the future of our homes landscape.